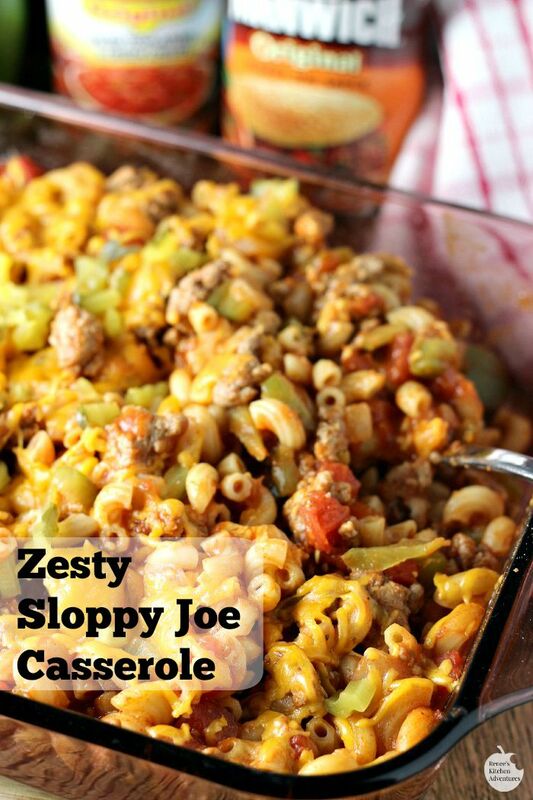 Zesty Sloppy Joe Casserole is a quick and easy dinner idea perfect for the cooler weather! It comes together in less than 30 minutes for a meal the whole family will love in a "not so sloppy" presentation with the help of RO*TEL and MANWICH. As far as Manwich recipes go, this one is a keeper! As the weather gets cooler and the leaves begin to turn, my oven starts to get a workout again. There is nothing like a warm and cheesy casserole, served with a simple garden salad and some bread to keep my family full and happy. Using the familiar taste of Manwich helps make this recipe a family friendly one too! Often, this time of year, I find it hard to get a good meal on the table quickly. Maybe you are in the same boat as me? After-school activities, meetings, Fall outings are all reasons I often feel a little stressed about putting good dinner for my family on the table that doesn't include take-out. 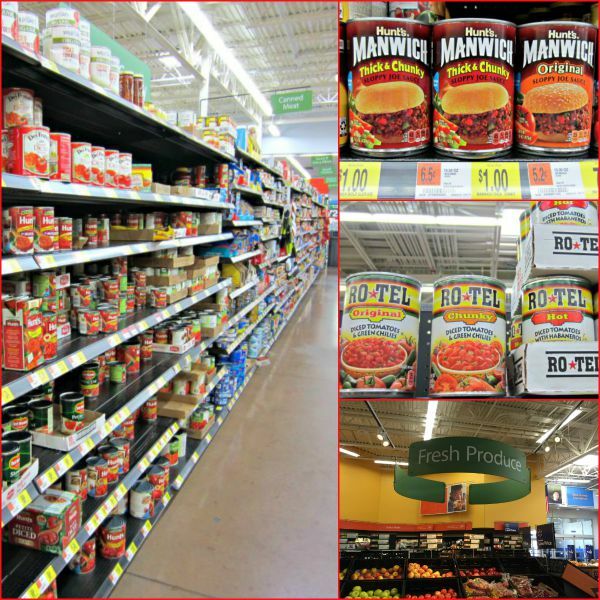 Thank goodness for canned products in my pantry! 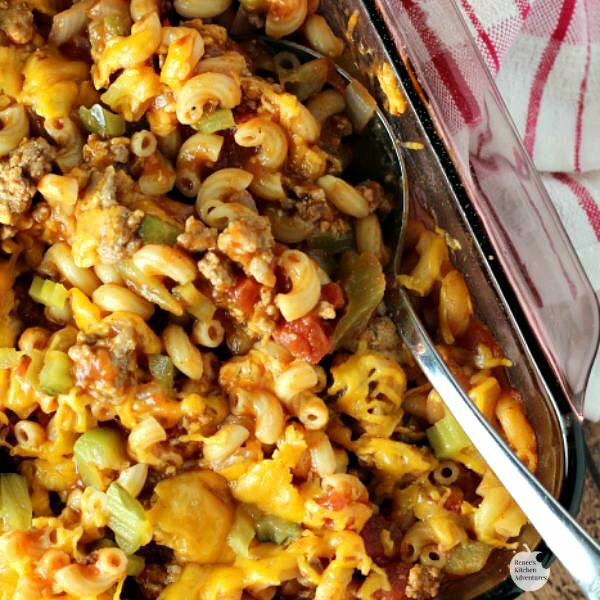 With a couple of cans of MANWICH (which I almost always have in my pantry for quick meals), a can of RO*TEL, some dry pasta, and a few fresh ingredients I can have this tasty casserole on my dinner table in less than 30 minutes! I've taken the extra step to finish this casserole off in a casserole dish, but the truth is, if you are using a big enough oven safe skillet, you don't even need to dirty an extra pan. You can just mix it all up in the skillet, top with cheese and put in the whole thing right in the oven. How's that for easy? This casserole can also be made ahead and baked later in the day or the next day, making your life that much easier. I will warn you, Zesty Sloppy Joe Casserole does have a bit of a bite, so if you aren't a fan of heat, you can substitute RO*TEL Tomatoes and Chilies with a can of Hunt's Petite Diced Tomatoes instead. My family likes the kick the RO*TEL gives this dish though! But you will want to keep the flavor of a sloppy joes by using the Manwich in this recipe. To help balance out the heat from the RO*TEL, I topped my casserole with some diced sweet pickles. I enjoy pickles with Sloppy Joes, so why not include them in the casserole? If you aren't a fan, you can just leave them off. As you can see, this casserole comes together in about 5 easy steps! Quick, easy and delicious! A spicy version of Sloppy Joe in an easy to make, easy to serve, less sloppy to eat, casserole! Heat large pot of salted water to boiling. Cook pasta according to package directions, except one minute less than package states for al dente pasta. Drain and set aside. In large skillet, heat oil over Med-High heat. Add onion and green pepper. Saute for about 5 minutes, or until veggies begin to soften. Add in ground turkey. Cook, breaking up the meat with spoon, until turkey is no longer pink and veggies are crisp tender. Turn off heat. Drain off any liquid that might remain after cooking. 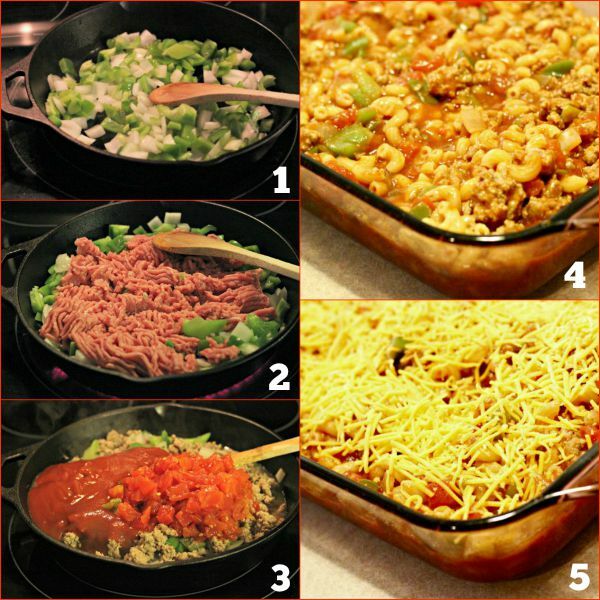 To skillet with onions, ground turkey and peppers, add in one can of Hunt's Manwich and one can of Ro*tel. Combine. Bake, uncovered, in preheated oven for about 10 minutes, or until cheese is melted and casserole is heated through. Remove from oven and sprinkle with chopped sweet pickle, if desired. I found everything I needed to make this casserole , including the fresh green bell pepper and onion, at Walmart. Need more easy dinner inspiration? Check out more delicious ideas HERE. I really need easy and quick dinner recipes this time of year. Love the spice the Rotel will bring to this delicious dish. What a great meal, Renee! I love how you made a casserole with these ingredients! I'd love it! Thanks Sheena, it makes a great casserole that easy! Thanks Carrie! Simple meals like this are the best! Might make a good potluck meal?? what do you all think? Yes! It would make a great potluck meal! Thanks! I'm making it for tomorrow's dinner. Can't handle spicy, so I'll be using canned, diced tomatoes with garlic and onion. And yes I think this would be a great potluck meal! Oh yes! That will be perfect! I hope you enjoy! Wow, this looks absolutely delicious. Definitely going to give it a try!